I find myself at a moment of reflection on the backside of NaNoWriMo 2015 (yes, I completed the 50k. thank you), and so thought this a good time to address the past of this blog. A glance back, before forging ahead. As mentioned in a previous post, I’ve looked over my numbers from the blog. With two years of static traffic, I have the enviable position of being able to clearly see which posts, subjects, and themes my best traffic comes from. The answer, guest posts and Designing from Bones absolutely dominate the top 25% of most hits per post. That said, I do have a few ideas moving forward that will honor the past of the site while increasing the value of the content. First, starting in 2016, I’ll be pursuing selected guests to share their wisdom and experience here on the site. And, you will see me on other sites as well when the occasion allows. Designing from Bones will live on, but will now be in support of my writing projects. Topics picked will be in connection with whatever I happen to be researching at the time. There will also be an occasional revitalization of some of the older Designing posts to up their value. Writing Resources, while it did have a very loyal following, will not be returning in its past form. If you want to find posts on any writing topic, they are not hard to find. Sorry, Google wins this one because my creative work has eternal precedence. 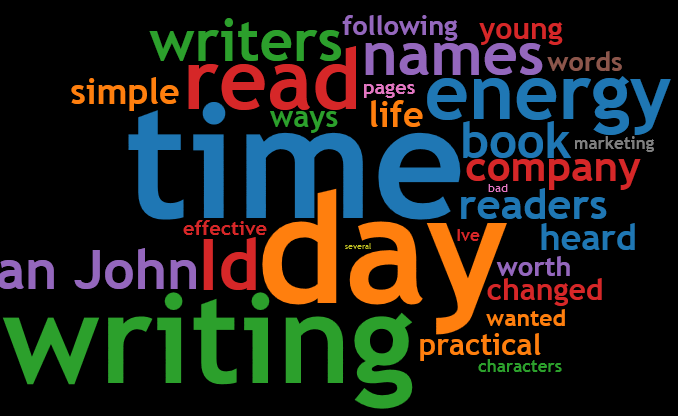 If you look at the First Mentor post, you’ll see the New Writing Resources. The people, the online writer resources, libraries, and universities, and those sources of real value for writers online — the New Writing Resources is where I’ll be housing everything I’ve found and continue to seek. Mentors, Resources, Training, Leaders, and more. The remainder of my posting was focused on goals, time management, and other sundry topics. While I may visit some of those by default, it will be by way of posts on business, marketing, self-management, and self-motivation. Call it the other side of the indie coin. Powerful concept there, and the brain child of my first author mentor, Kristen Lamb. Kristen is likely known to you, and if not there is a link to her site and other goodies at the end of the post. Heck, if you just want to be a stronger professional creative, then Kristen is one of those people you’ll want to get to know. In my first online iteration, I connected with Kristen through social media before I had a hundred Twitter followers, and no blog — this was in late 2010 early 2011. When I stopped posting in November of 2013, I had close to 240 blog subscribers and just under 1700 Twitter followers. I stopped using Twitter as of August 2013 for personal reasons, so this piece of my platform was already static. Over the past two years, I added almost 120 blog subscribers and over 3000 Twitter followers — without a single post or tweet. Granted these may not seem like stellar numbers to some, but all the growth came with zero input from me other than the echo of my words and a well-built platform — which is what I learned from Kristen Lamb. Yeah, Kristen put that line into mine and other Warrior Writers heads as part of what I consider my professional “basic training” — and now I give it out to my closest writing friend, my wife, and to all of you, because powerful motivational lines must be shared. This phrase became an early reminder to keep what I do in perspective. Social media is awesome, but if you are a creative, then the art you pursue is the only thing of real value. We all gets things wrong at times. We all amp up things that should remain small. We all blow off things about to crush us. We all need someone out there to give us a less than gentle reminder *smile* to clarify our perspective. Go read Kristen’s blog and it won’t take long to realize she has a gift for kicking the occasionally slow-moving creative tush into gear — and what she preaches is what she holds herself to, and more. The most valuable lesson: Be smart about your social media usage and you’ll have more time to do the thing you love — be that a creative pursuit, your family, or whatever it is that drives you to enjoy life. Because what is the point of all the work if we never get to enjoy ourselves? Platform does not have to be stressful. Instead, platform should be a way to play with and engage friends and fans in a manner that builds real connections. By the way, all those marketing classes I alluded to taking in my return post — social marketing isn’t the future, its the present. Numbers do not represent reach or influence or in some cases, anything at all but B.S. 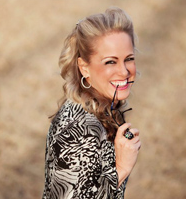 warped into being by well-chosen subjective questions and statements — BUT, numbers in combination across multiple platforms (combined social media presence) now that is powerful — and that, is what WANA and Kristen Lamb are all about. Tribe. Family. We are not alone. And that means as Creatives — we are a tribe already, we just haven’t all met yet. Kristen’s greatest innovation, in my opinion, offers a rare chance to rectify this, and it’s called: WANATribe. WANATribe is a golden opportunity for creatives that are looking for a stress-free, marketing-free environment filled with creatives of all types. The platform offers many of the features we are all already familiar with on mainstream social media, but does it in a way that doesn’t study every click to force advertising on you. None of that on WANATribe. Just lots of creatives being, creative. For all the current NaNoWriMo champions — Kristen is leading daily sprints on WANATribe which is a great way to stay motivated while easing away some of the loneliness that often accompanies a creative lifestyle. Go give it a look. What you’ll find on WANATribe are other creatives of all shapes, forms, and genres — all walking the same path together. Supporting each others efforts with motivation, experience, and actionable advice that lead towards an expanding creative future. On the eve of NaNoWriMo, with the spirits all about — a 1-2-3 last minute prep for all those about to explore their creative minds. What is the one thought that sparked the story child you are about to birth? For me: What if humans from Earth encountered humans that knew nothing of us or our planet? How would they judge us? The full version is a bit fleshier and is printed on a card sitting next to my monitor. This card will be the first thing I read every writing session as a way to keep my mind focused on the stories ultimate goal. No matter how the characters and plots twist the path, in the end, only getting to the answer/solution/end goal of the guiding global thought matters. Give it a try. And if you have a moment later on, have a look at Shawn’s post. The goal of NaNoWriMo is to empower the creative mind into telling the editor to go sit quietly in a corner so the Creative You can work. To complete NaNo means averaging 1,666 words a day for thirty consecutive days (or any mathematical variation you desire). I can type 1,666 words in less than an hour at full speed, and bet many of you type faster than I do. However, the goal is not speed as much as it is learning to stay in the flow of the story without worrying about the pretty — although it can be as colorful as you wish. Now: Envision yourself on a canoe driven by a strong current and without paddles or rudder. You can tilt to the left or right to steer. You can settle or shift your weight to guide and manage your craft through the waves. The one thing you cannot do is turn and go back. Seen this way, NaNoWriMo is less of a challenge than it is a Gift to Your Creative Mind. Now grab your friends (e.g. characters) and go play on the playground of your choice. Three unrelated friends. I say it this way because, while we all desire to keep our promises to our families, we also know they are the easiest to gain forgiveness from when we fail. So, three people to whom you are not related. Preferably ones you respect. With these three friendly travelers: You’ll check in a couple times a week with: Your progress. Your struggles. Your breakthroughs. Your whatever. And, all of theirs in return. And hey if you have more than three. All the better. 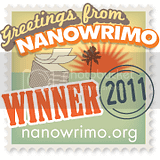 I’m GeneLempp (no spaces) on NaNoWriMo, and happy to buddy with anyone in the challenge. I’ll be contacting my three Vegas travelers today. Who will your three be? 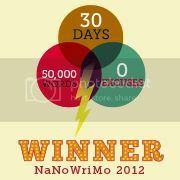 And there you have it, my friends, a 1-2-3 for NaNoWriMo — launchpad is set. In “Turning Pro,” Steven Pressfield states that each of us will know the moment when we turn pro in our heads, even if it isn’t visible to the rest of the world yet. Answering the question of staying a hobbyist or turning pro is one each of us faces. The question of hobbyist or pro has been a central focus of my thought since my last post in November of 2013. Most, if not all of you will immediately see the flaws in that question. And indeed I pursued what Pressfield would call a shadow career for a time, writing hundreds of pages of non-fiction, the equivalent of two novels page count, over the course of semesters worth of business and marketing courses. Enough to earn me a 4.0 and the recommendations of every professor I was fortunate to meet, and yet, at the end of the day, there was no satisfaction in my heart. And the question changed. “What plan can I devise to create enough income to become a full-time writer?” But really, that too is the wrong question. Nothing wrong with money, to be full-time at a profession implies a full-time income — at least in my mind. But money itself has never been the true goal. To me, money is a side effect of dedicated work. Well, I am not seeking awards. And to be honest, I’m not seeking literary standing among the great novelists of history. Unless it becomes earned, but not my thing. And the coming days? Well, there will be writing on writing. On what I’m writing. On The Mentors. On what I’ve been learning over the past two years. Over what I’m learning now. And, a journey to be shared. If you choose to stick around, awesome, can’t wait to meet you all once again. And hey, if I’m not your cup of tea, all good friend. May peace guide your steps whatever path you follow. For many years I used a picture of a 1500s wooden ship, sails limp, adrift on gray waters, an eerie death mask moon its destination — as my computer wallpaper. The waters while not raging, were not calm. Constant movement. Constant flux. Life. As ships of the Age of Exploration would leave port to sail into the unknown or to places only whispered in unconfirmed rumors, so to some of those ships returned with stories of exotic lands and peoples. Of places where humanity is tested against its own nature. Of places where the fear of the unknown comes into contact with the deepest lusts and desires of the human heart. Of places where there is only gray and the truth is little more than a mist warming away on the first ray of heat. The past two years have taken me to many ports and places I never thought I’d go, and while I’ve yet to unearth a lost city of gold or temple of arcane wisdom — I built them instead. And it is my hope, you’ll stick around to see those as well. So, I’m back at the home port now, and trust me I’ve a tale or two, and a new skill or two, that I’ll be sharing in the coming weeks. Next post will be soon. I’m doing the final prep for NaNoWrimo 2015 and cleaning out the cobwebs from the platform. Just couldn’t wait to say “Hello,” once more. Here you will find a selection of the best of the blogsphere from the past week. Starting this week you’ll find a NaNoPrep section about halfway down. Grab your coffee, straighten the glasses or spritz those contacts and above all – enjoy! Bob Mayer: The Kernal Idea: The Alpha and Omega of Your Book. “You have to start somewhere. Have you ever listened to a writer who just recently started a new project? They are practically jumping out of their pants with excitement. Their eyes light up and oddly enough, they break out of that introverted shell and start babbling away about their latest novel. This is at the core of the Kernel Idea.” Also from Bob: Conflict the Fuel of your Story. Earlier this week a close friend of my wife and I passed away due to a tragic twist of fate and health. Hasan Niyazi was always there to inspire and encourage others, a man driven by a deep passion for the arts. His insights into the old masters, Raphael, Caravaggio, and many others unveiled the mysteries of these works to those of us who appreciate the power and wonder of art. Hasan will be deeply missed by all who knew him, a special man with a golden heart and mind. Here is a link to the blog he leaves behind, a memorial to his insights and passion. 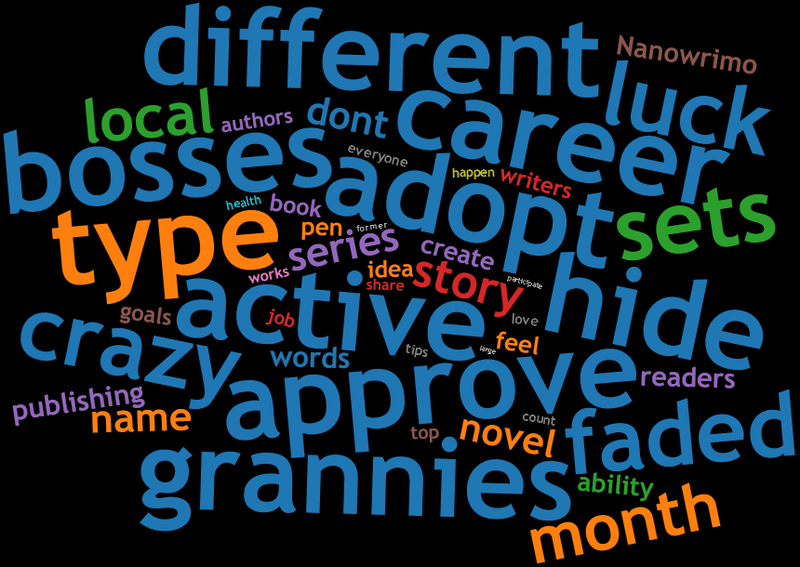 Office of Letters & Light: A 100% Awesome, 100% Thorough Guide to NaNoWriMo 2013. 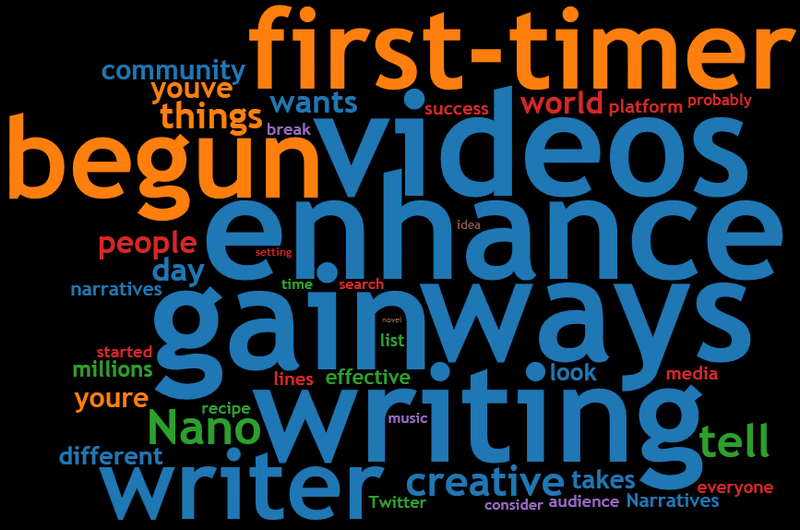 From NaNoWriMo, covers pretty much everything a participant needs to know. Gabriela Pereira: Announcing the DIY MFA Weekend Writing Sprint! “To celebrate this writing season, DIY MFA is hosting a FREE Weekend Writing Sprint the weekend of November 16-17. It’s like a virtual writing retreat, one that you can participate in from the comfort of your home computer or your favorite local writing spot.” (Visit the site for details on joining in).